Orthogonal Acceleration/Extraction Time Of Flight (oaTOF) from Jordan TOF Products, Inc.
R. M. Jordan Co., Inc. 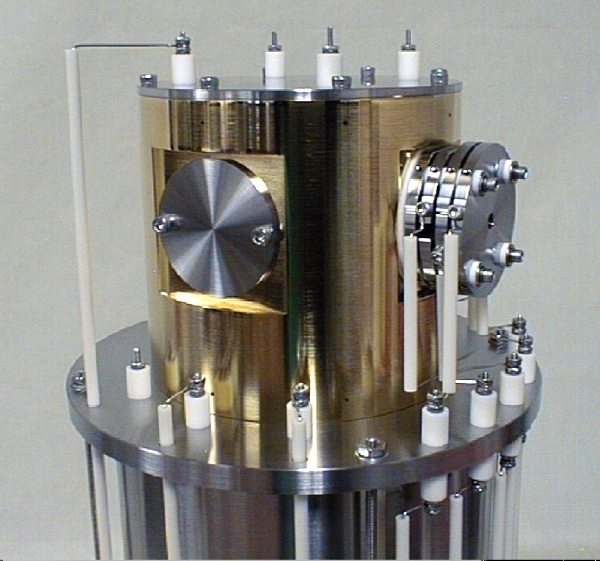 Designed specifically to do TOFMS with ions created from an external source. Modular. Easy to maintain, upgrade. 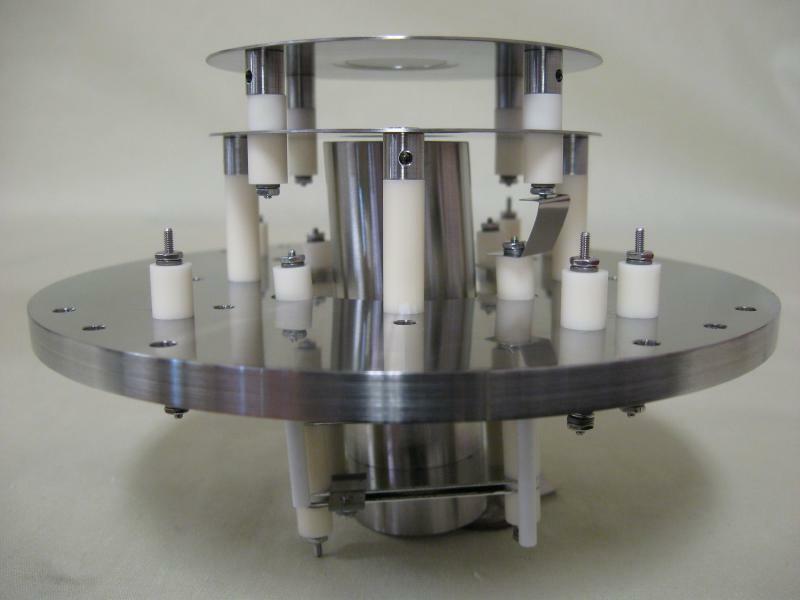 Existing Jordan TOF instruments can be easily retrofitted to Orthogo-TOF. 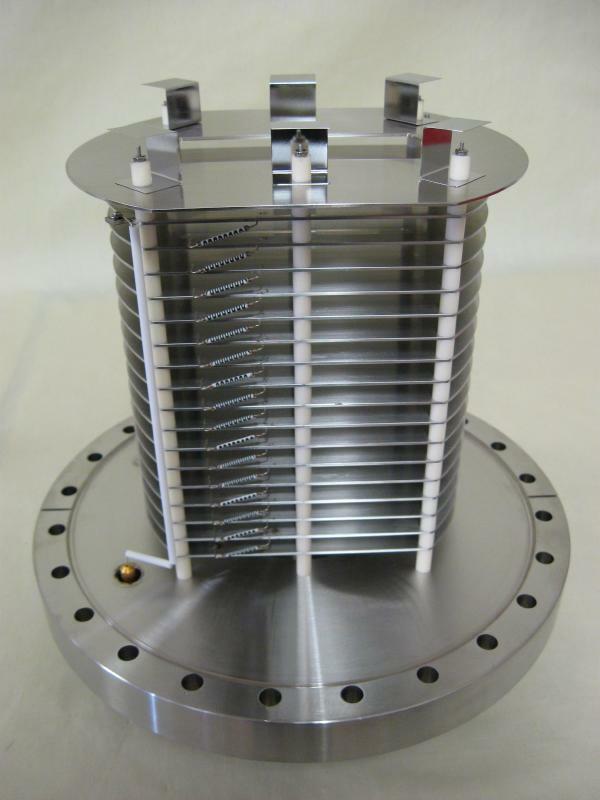 Designed to work with virtually any source of externally generated ions. Extraction region is differentially pumped. 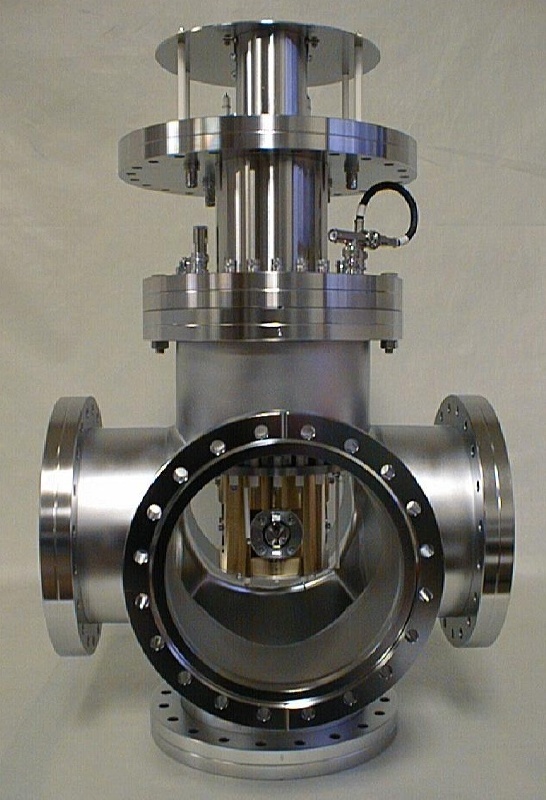 Two orders of magnitude of vacuum differential from chamber to extraction source/flight tube can be obtained with a relatively small turbo pump on flight tube sideport (250 lps typical). 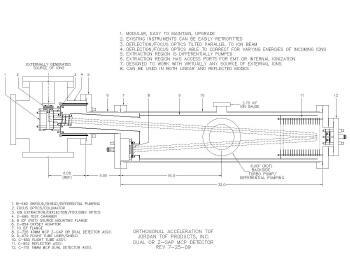 Flight tube can be rotated to one of four positions for desired sideport/pump location, and still maintain proper reflector alignment. 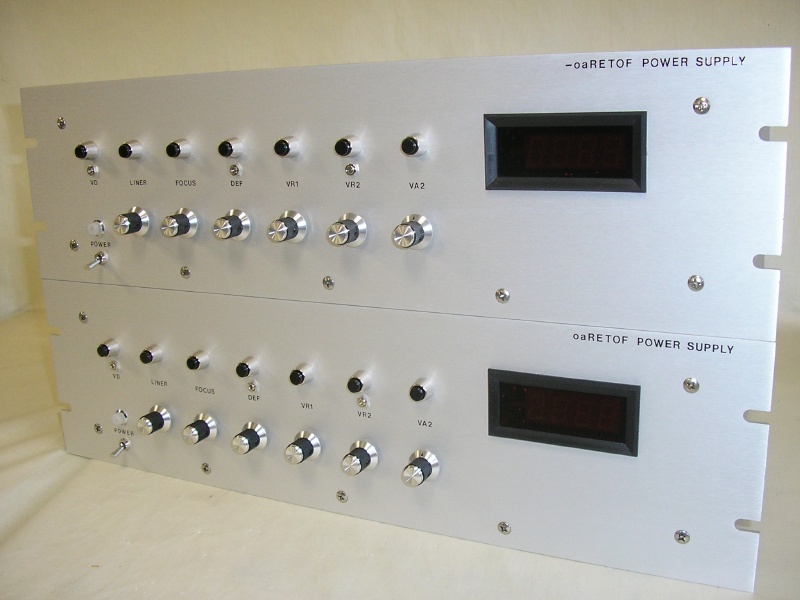 Can be used in both linear and reflected modes (oaTOF and oaRETOF). 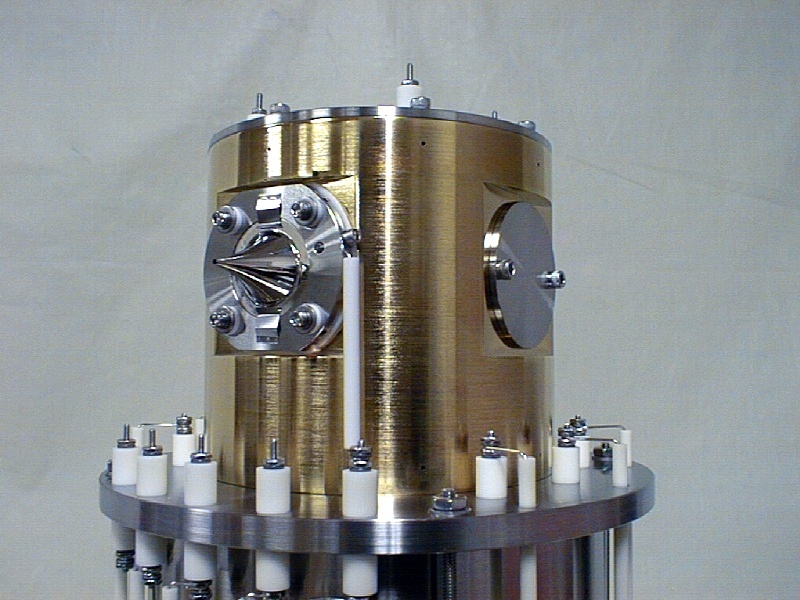 Designed specifically for TOFMS analysis of externally generated ions brought in orthogonally from virtually any source. Typical source of ions: Electrospray Ionization Source (ESI), Plasma Source, Nanospray Source and MALDI. 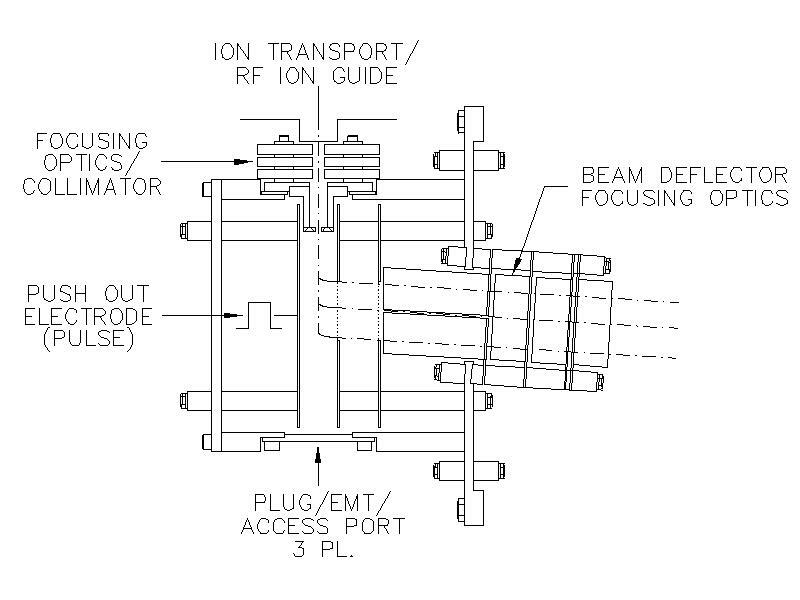 Performance is optimized for external ions with energies of 5eV to 15eV, typical energies of ions from an RF only ion guide/ion transport mechanism. 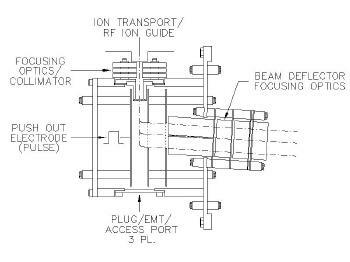 Deflection/focusing source optics able to correct for incoming ions of much higher energies. 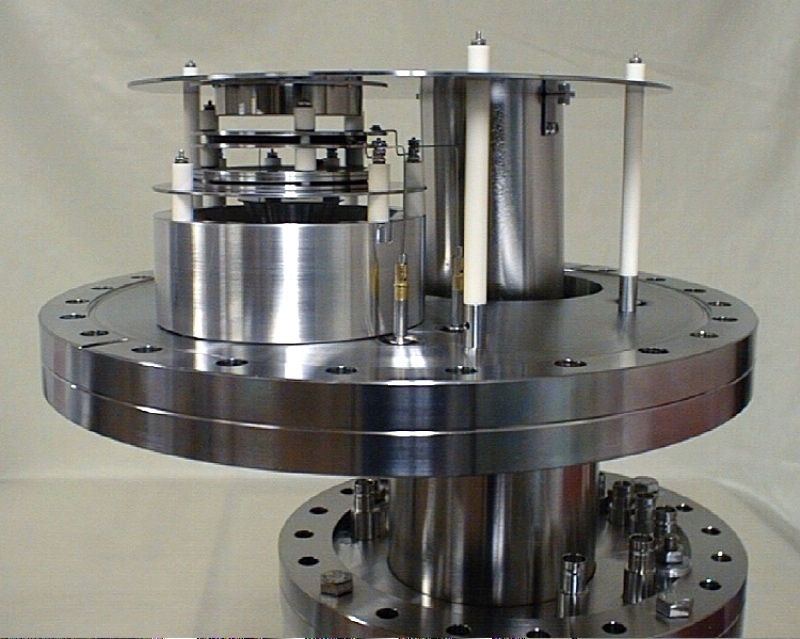 Deflection/Focusing optics tilted parallel to ion beam. 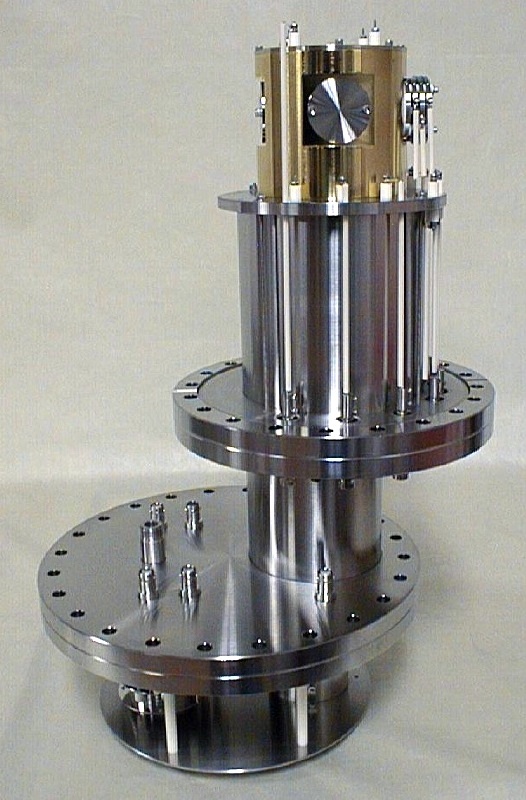 Split tube beam deflector designed to correct/steer ion beam with very high initial energies into the oaTOF with minimal loss of performance. Different pulser configurations can be used. 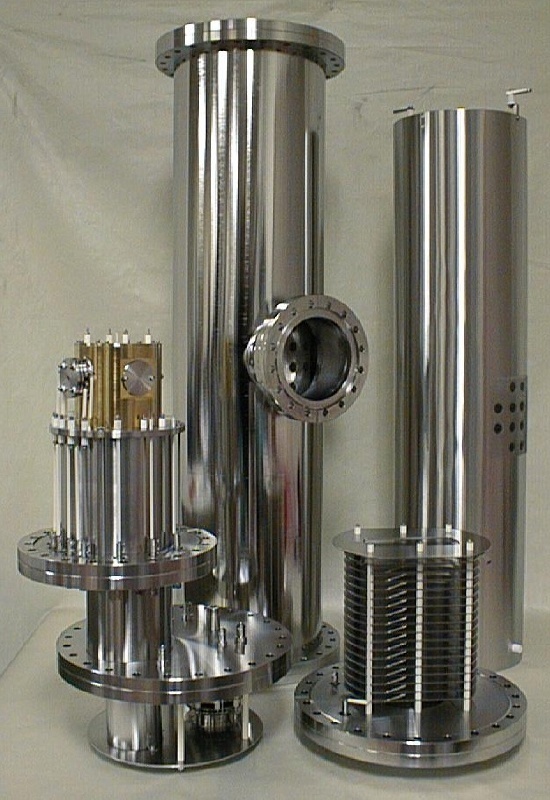 Polarized Skimmer/Shield Tube for ions or neutrals (internal ionization). 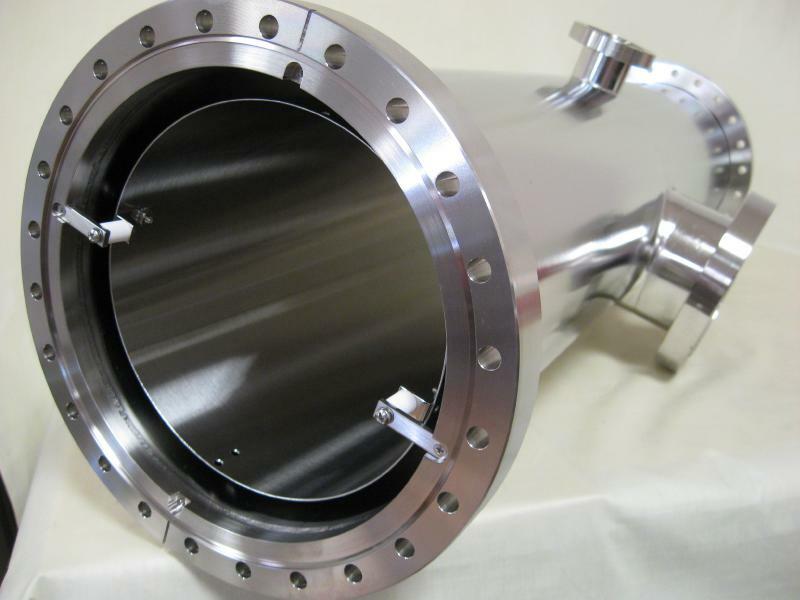 Extraction shroud/shield has access ports for pass thru to EMT, installation of electron gun ionizer, or laser beam/VUV entry for internal ionization. Filesize: approx. 1.4 MB. To download, right click on link and "save target as". 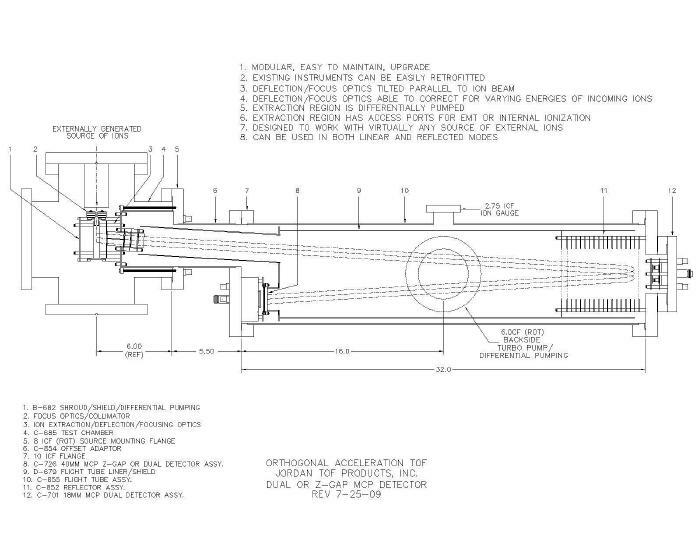 Manual includes power supply specs, wiring diagrams, and installation procedure for the 40mm detector assembly. Copyright &COPY; Jordan TOF Products, Inc. All rights reserved. 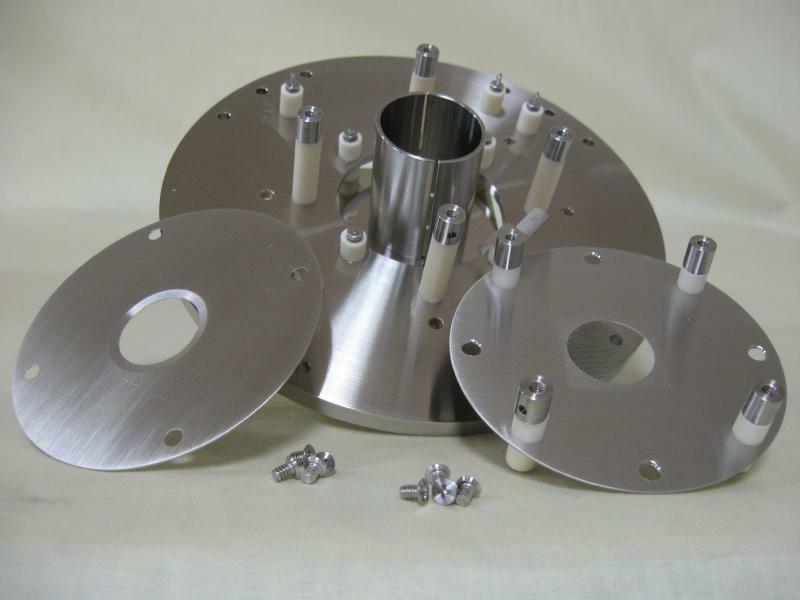 Orthogonal Acceleration/Extraction Time Of Flight Components From Jordan TOF Products, Inc.